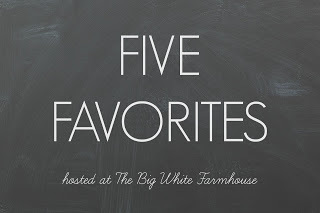 I decided to join Ashley over at The Big White Farmhouse and do a Five Fave link up. Catholic Stuff You Should Know -- Priests teach about the Catholic Faith all the while making it fun. I don't know how many times I have laughed out loud at this podcast. The only podcast I have ever mailed a gift to one of the regulars Grape Big League Chew) after one of the priests said he couldn't find it anywhere. Plus the Loon Clock usually announces itself. The Memory Palace -- This is storytelling at its finest. History is brought to you in a beautiful way. These shows are often about 10 to 15 minutes, and when they are finished, I feel like my breath has been taken away. I have been so focused on the show it's much like coming out of a good book where you have that feeling that you just experienced something that no one else did. Yeah, they are that good. Scavenger Life -- This is a little different than the others. The podcasters call themselves "just two people on the Internet" but they have a blog over at Scavengerlife.com They discuss selling on eBay full time, which they used profits from to buy a house they now rent out through AirBnB. Because I've been selling on eBay for 18 years, I feel like they are "my people". They routinely post videos on their blog / youtube of what sold on eBay for them. I've learned a lot from them and in this business knowledge is money! Stuff They Don't Want You to Know -- I love me a good conspiracy theory or unexplained event. There is both a video and an audio podcast of this show. Stuff You Missed in History Class -- Another history podcast, but more of a back and forth and telling facts than The Memory Palace. There have been some fascinating episodes on this podcast as well. This list is great! 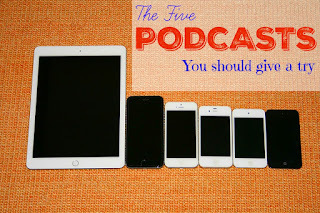 I've been wanting to get back into podcasts (they are so great while doing laundry!) and I can't wait to check out some of these. Thanks for linking up! Ooh, The Memory Palace sounds cool! i am always glad for podcast recommendations! thank you!